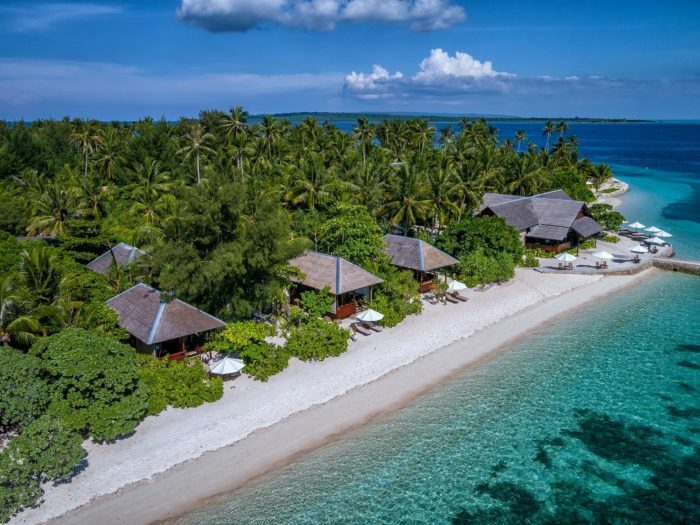 Wouldn’t it be amazing if you could be transported to the beach at Wakatobi right now? Unfortunately, the teleporter hasn’t been invented yet, but digital imaging technology has given us the next best thing. 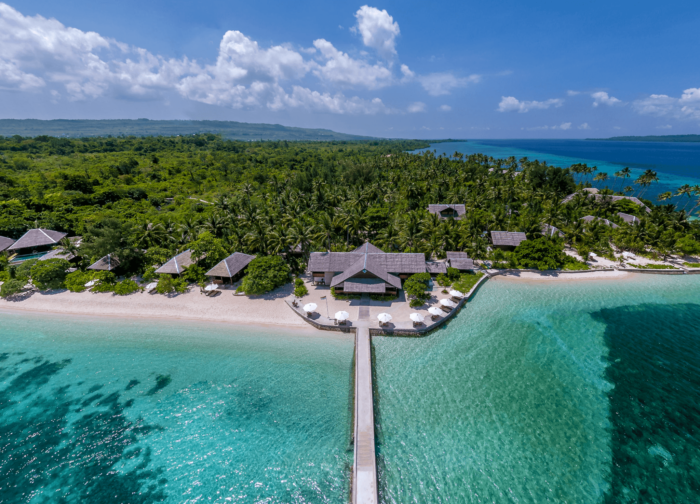 When you log on to a new feature on Wakatobi’s website you’ll experience a bird’s eye perspective of the resort as you find yourself soaring above the reef and beach, and taking in the view while standing at the open door of a waterfront villa. 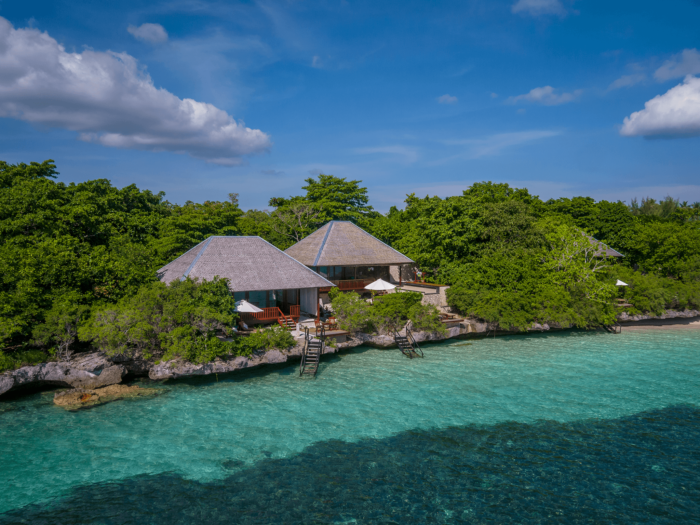 A series of images were recently added to Wakatobi’s website, allowing online viewers to experience the resort like never before. Details of the property and it’s surroundings are revealed in high definition, and in 360-degree virtual reality that’s almost like being there. As the tour begins you swoop in over the island and hover above the resort. Envision yourself peering out the window on the flight over from Bali as it makes its ascent to the resort’s private airstrip on neighboring island Tomia. These 3-D like images were recently created when photographer Didi Lotze, and his associate Arshad Rizvi, visited the resort with a Roundshot 360 camera system. This device combines a swiveling motorized mount with a still camera which, when activated, sends the camera through a series of arcs that captures pictures in all directions. The images are merged to create a seamless 360-degree view. 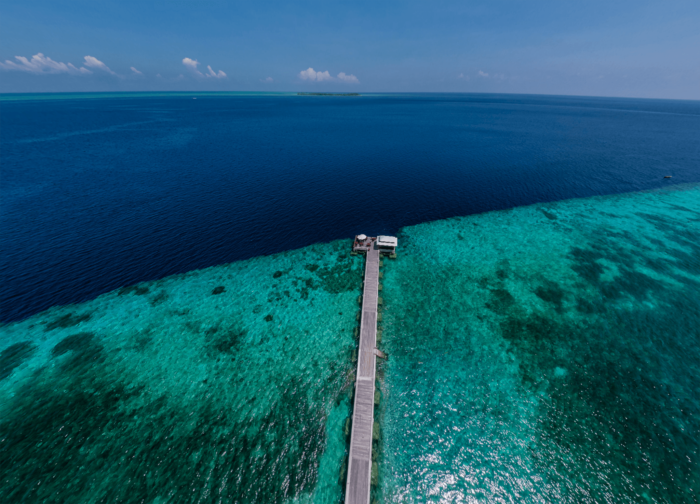 The details of the process are technical, but the results are nothing short of spectacular, like this view of the jetty and Jetty Bar over Wakatobi’s House Reef and drop off. 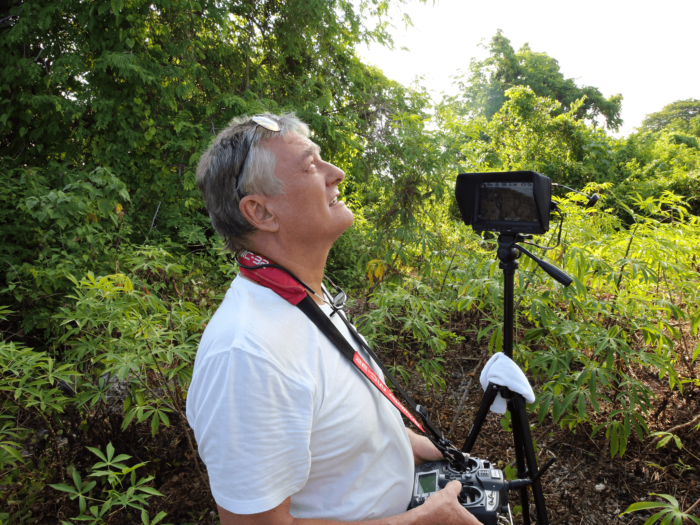 In addition to the aerial views of the resort, Didi took his equipment to a variety of sites around the property and set it on a tripod to create virtual-reality style views of the rooms and common areas; for example, the tour takes you throughout the resort’s oceanfront restaurant for a view inside as well as on the outdoor patio – all in one sweep. 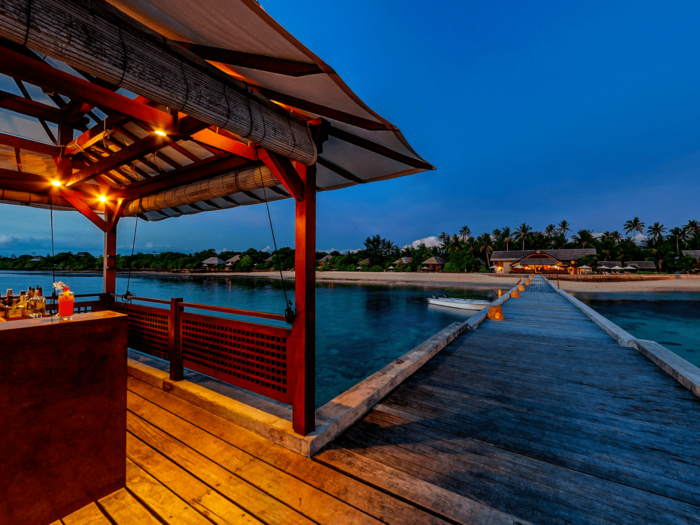 The best of these images are also displayed on the Wakatobi Web site – www.wakatobi.com, and include a dozen vantage points of the Villas, Bungalows, Longhouse Lobby, Restaurant, and seen here, the Jetty Bar. When viewing a panoramic image of a villa or bungalow, one has no sense of the technical challenges required to create a uniform merging of the individual elements. The difference between indoor and outdoor light levels can be significant, and creating a balance when images are merged requires expertise in digital post-production. Viewers may not appreciate the back end work, but they can’t help but admire the end result. If a conventional picture is worth a thousand words, these all-encompassing views are a library’s worth. 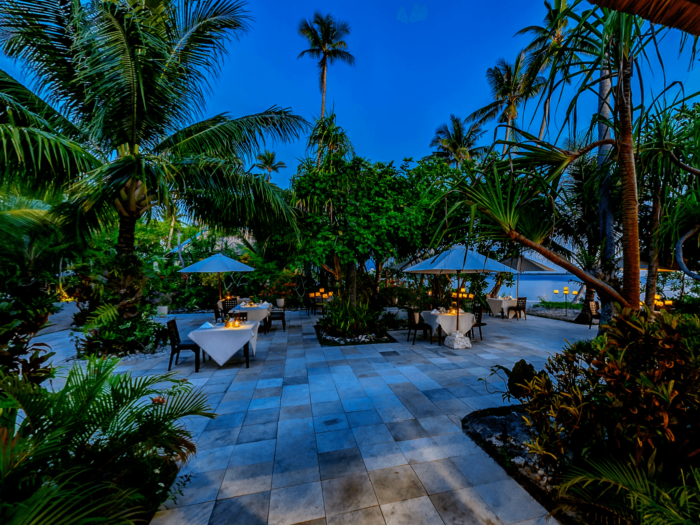 This is a view of villas 3 and 4 at high tide; picture postcard, makes you want to jump in. The final panoramic image on the tour is also one of the more unusual. 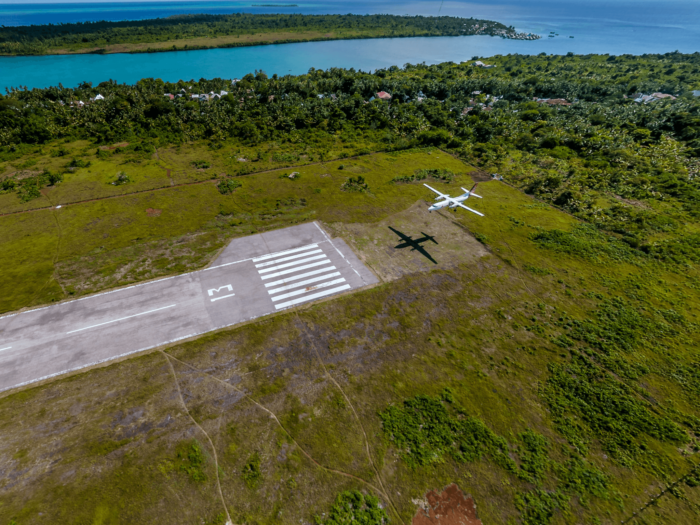 The aerial view of the resort’s private runway on adjacent Tomia Island may not seem that noteworthy—until you notice the airplane that is about to touch down. No commercial airport would have allowed him to fly a drone over a landing site, Didi says, but by carefully timing the photo to coincide with the resort’s arriving charter flight, he was able to add a one-of-a-kind detail to the image. We invite you to experience the unique perspective that Didi’s images provide. 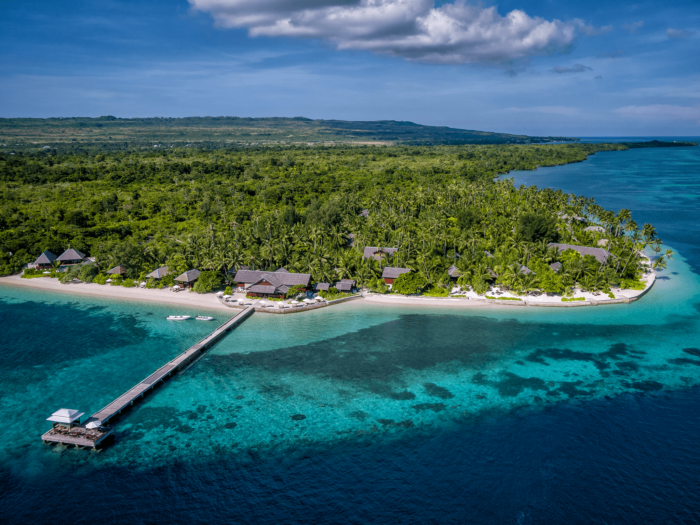 Spend a few minutes zooming and panning about and you can discover what Wakatobi is really like—or relive favorite moments from your last visit. For more information visit www.wakatobi.com. Creating the View – So how is it actually done? 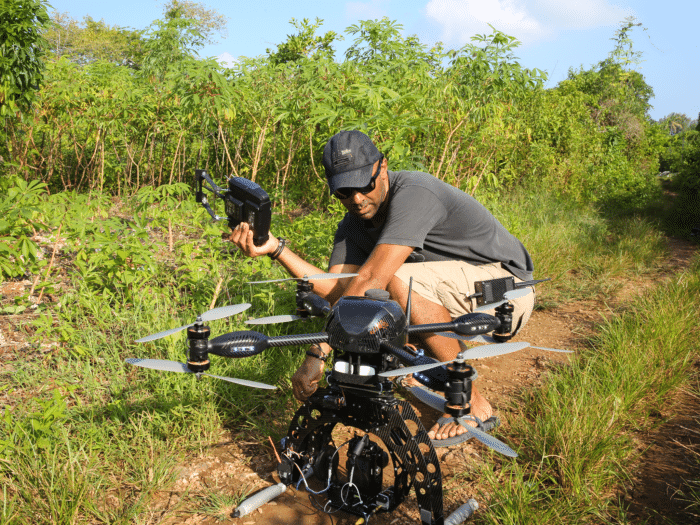 The Roundshot equipment is mounted on a remote-controlled hover drone and sent aloft (Arshad is setting it up in this image). The Roundshot can capture a full 360-degree view in as few as six shots, but Didi says he often takes as many as 30 to ensure the best quality. The photography itself takes a professional like Didi’s eye and skill, but then the real work begins. Back at his computer, Didi begins the painstaking process of linking the images and working on the intricacies of color balance that will render a stunning and life-like final effect.